As a Toronto kitchen renovator who runs up to a dozen concurrent projects going in parallel at any point in time, it is always rewarding when we are able to complete a project that comes out fantastic and our client are thrilled with the results while juggling another dozen projects at the same time. This kitchen renovation was one we just completed last week. 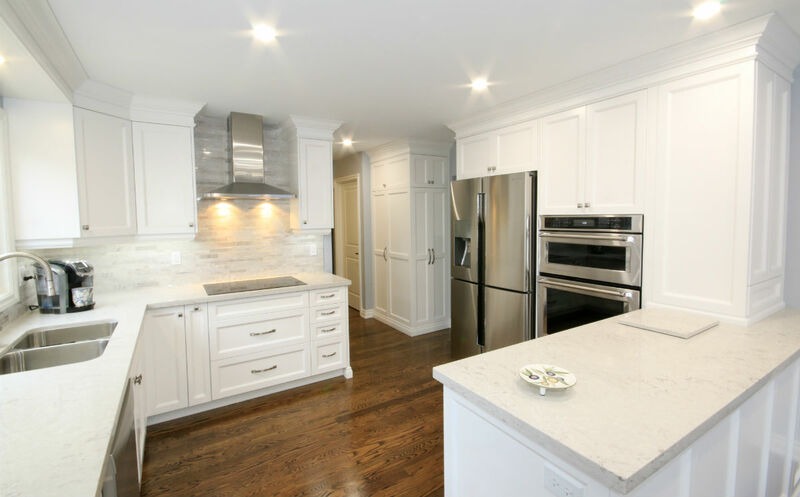 Toronto Custom Concepts has many projects where custom kitchens come into scope. This kitchen renovation included new white shaker cabinetry with quartz countertops. As you can tell we can scale to manage many projects at the same time without jeopardizing quality or timing. We hope you like the end results of this project!